I’m not accustomed to seeing Sandhill Cranes anywhere outside of Nebraska where they congregate annually along the Platte River. But here were a pair roaming around the fields I’ve driven through since childhood, on my way to Grand Lake, about 20 mies west of St. Cloud. 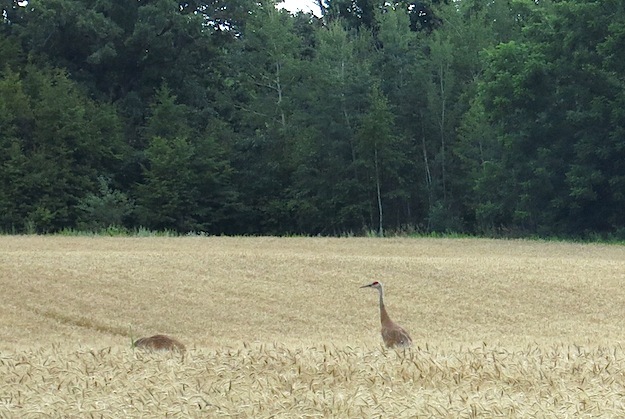 The Rockville/Cold Spring area of Stearns County is known by birders for its heron rookeries.